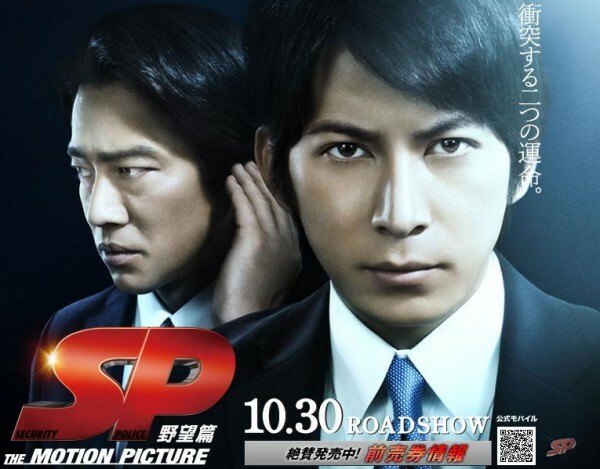 Fuji TV has announced that the popular "SP" series starring V6 member Okada Junichi will get a new drama special prior to the release of the second movie, "SP: Kakumei Hen" (aka "SP: Revolution" or "SP: The Motion Picture The Final Episode"). The drama special, called "SP: Kakumei Zenjitsu" (aka "SP: The Day Before The Revolution"), is going to air on March 5th, one week before cinematic release of the movie, and will depict the events that lead to what we are going to see in the movie. 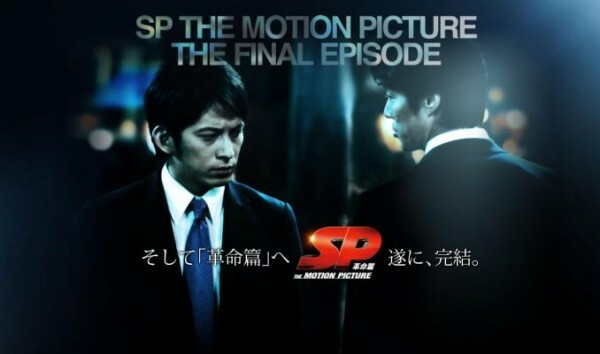 In the "SP" series, Okada plays an agent with great martial arts skills and a special kind of photographic memory that helps him to reconstruct the events just by looking at footprints and other traces. The two movies are going to solve the mystery that was left behind at the end of the drama, and after the amazing success of the first movie, fans cannot wait to find out how everything is going to come to an end. Those that have missed the drama can also look forward to a digest version that is going to air on two consecutive nights on March 4th and March 5th. Furthermore, the digest is going to include a special that documented Okada's visit in Hollywood where the audio recording for the movies was done, as well as other interesting clips. Okada said about the special drama and the digest, "'SP: Kakumei Zenjitsu' is going to feature plenty of private moments of the members of Section 4 and will definitely make you look forward to 'SP: Kakumei Hen' even more. In the digest version, we are also going to show how I met certain people in Hollywood without which we wouldn't be able to tell the story of SP. It will also be the first time you will be able to get an idea of the training I had to go through for my role in SP." Nagasawa Masami to join Takenaka Naoto for "Tantei X Kara no Chosenjo 3"
Mizuki Nana celebrates the release of her autobiography, "Shin Ai"